I am engaged in a research project with John de Gruchy, a former Professor of Religious Studies at the University of Cape Town, to write a history of the Charismatic Renewal in Southern African Christianity. The purpose of this page is to describe the project, and also to appeal for help from anyone who has information relating to the Charismati Renewal or related movements. So if you have had any experience of the Charismatic Renewal, positive or negative, please contact me, and at least leave a comment in the comments section below. The charismatic renewal was a worldwide movement within Christianity that flourished mainly in the 1970s and 1980s. It involved a rediscovery of the gifts of the Holy Spirit (charismata in Greek, hence the name). Among the ‘gifts of the Holy Spirit’ was ‘speaking in tongues’, sometimes referred to by the Greek term glossolalia. In the late 19th century and early 20th century manifestations of these gifts of the Spirit gave rise to the Pentecostal denominations, such as (in South Africa), the Apostolic Faith Mission, the Assemblies of God, and the Full Gospel Church of God. The Pentecostal movement was also linked to the rise of Zionism. What distinguishes the charismatic renewal, which came about 50-60 years later than the Pentecostal movement, is that it appeared and spread in non-Pentecostal churches, such as (in South Africa) the Roman Catholic Church, the Anglican Church, the Baptist Church, the Presbyterian Church and others. It was most influential in the 1970s and 1980s, and has declined somewhat in significance since then, but in that period it had a significant impact on Southern African Christianity. In our research project we also look at related contemporary movements within Southern African Christianity. These include Group Dynamics and the Justice and Reconciliation Movement. Group Dynamics, also known as T-Groups or Sensitivity Training, was popular in many Christian denominations in the 1960s and 1970s. It was training in the way that small groups operate, and aimed to improve the functioning of people and their relationships within the church. It attracted the attention of the South African government (then wedded to the policy of apartheid), which feared that it would counter the effect of apartheid programming, and act as a kind of deprogramming tool. They were probably right. In KwaZulu/Natal there were bodies called CELT (Christian Education and Leadership Training) which arranged and coordinated training events ecumenically. In Zululand, in particular, CELT was instrumental in spreading the Charismatic Renewal as well. Many non-Pentecostal denominations, especially those that belonged to the South African Council of Churches, set up departments of Justice and Reconciliation, which were concerned with Christian witness in apartheid society. In the Anglican Church this took the form of ‘Challenge Groups’, which were intended to challenge racism in the church at every level. Thei effectiveness seems to have varied from place to place. Very little has been written about these three interlinked movements. In most church histories of the period they are mentioned in passing, with little or no explanation. The problem is that as time passes, fewer and fewer people will understand what these references actually refer to. Many of the people who were most actively involved in them are dead, and in another 20 years or so there will be hardly anyone who remembers them at all. Yet a fairly large part of South African Christianity was shaped by these movements, for good or ill. So our research project is to try to describe these movements, and see what effects they had in shaping South African Christianity at the end of the 20th century. John de Gruchy did some research on the project when it was at its height, in the early 1980s. He sent questionnaires to clergy of various denominations who were involved in the movement, and prepared a manuscript for publication, which was never published. In 2007, conscious of the gap in Southern African church history, I began collecting information with a similar purpose. This project is described more fully when it was just starting at Notes from underground: Research: charismatic renewal movement in South Africa and also, when it had been going for nine months, at A conspiracy of silence – South African church history: Khanya. John de Gruchy very kindly let me have a copy of his unpublished manuscript, and we have now agreed that I should update it, with the addition of material that I have collected, and that when it is ready we should try to publish it jointly. In the mean time there are a lot of gaps, and so I hope people who were involved in any way with these movements, and especially with the charismatic renewal will help us to fill in some of the gaps. If you have any information about these three movements in southern Africa, especially the charismatic renewal in the period 1960-1995, please share it by leaving a comment. If you are willing to share more information, please let me know so I can send you a questionnaire, which you can answer and return by e-mail. If you have more still, please let me know that too. To do this you do not necessarily have to have been deeply involved in the movement itself. Some people were not involved, though they had encountered it or knew people who were involved, and some disapproved of it; if you are one of those, we eant to hear from you too. In some of the other pages on this topic, there is a list of people who were involved in the charismatic renewal and related movements, and we would like to make contact with them, or at least have some more information about them. So if you know any of those people, please tell us what you can, and especially how to contact them if they are still alive. This sounds fascinating! I wish you well as you gather the research and write the book. I’m sure that I may have encountered a few of the persons in my recent travels. I’ll have a look at the list of names and see if I can make any connections. I’ve had a remarkably poor response from Methodists, so if you can persuade anyone to spill the beans, I’d be very grateful. I’m assuming, given your background, that you are acquainted with the Greek Orthodox priest Eusebius Stephanou. He came and lectured at our very charismatic School of Theology at Melodyland in Anaheim, California in the 1970s and I think I may still have a pamphlet he published at the time on the appearance of the charismata in the ancient church as noted by various church fathers and historians of the time. I have no idea what became of him since those times, but I imagine his influence continued. Yes, Fr Eusebius has a base in Destin, Florida, where he published a renewal newsletter and holds retreats. His approach is not generally accepted among the Orthodox, however, because he seems to take over Pentecostal pneumatology completely, and insists on interpreting everything in those terms. So his pneumatology is regarded as Protestant rather than Orthodox. There was also a less extreme charismatic (or church renewal) group that published the periodical Theosis to which I subscribed to for a number of years. I believe that it had some connection to and/or was influenced by The (Catholic) Word of God Community in Ann Arbor, Michigan. It seems to me that the Roman Catholic Church has taken the most balanced and integrative approach to the issue of the workings of the Holy Spirit in the life of the church. It has avoided both the extremes: namely, on the one hand, the Pentecostal / extreme charismatic position which proclaims that all Christians really should speak in tongues and, on the other hand, the position of most other churches which largely hold that the charisms were intended for an earlier dispensation. The Anglican Church’s approach has varied from time and place, and seems have become overshadowed and preoccupied with other issues. Incidentally, I came into the Episcopal Church from Pentecostalism through St. Luke’s Church in Seattle under the rectorship of Fr. Dennis Bennett whom I knew and admired greatly. One of the assoicate priests in the parish, Fr. Richard Powell (who became Fr. John Powell upon Orthodox ordination), eventually left and started the Western Rite Antiochian Orthodox Mission Church of St. Michael through which I entered the Orthodox Church. That parish, at the behest of Metropolitan Philip, eventually merged with the incoming Holy Trinity EOC parish to form St. Paul Orthodox Church whose pastor is Fr. James Bernstein. You may be interested in the name Peter Eliastam. I have an idea he was involved quite heavily with the charismatic renewal during the periods you mention. No doubt, if he is still alive, he would also be able to direct you to other figures/groups involved in that movement. He is a Messianic Jew and was a prominent graphic artist/lecturer. Last I heard of him he was in Cape Town. Please let me know if you have any luck. looking for Peter Eliastam, I came on this most interresting place on the internet. Still I would like to find or contact P Eliastam. He was a student of my father Benno Wissing. My father was a well known designer in the Netherlands, later Boston. P Eliastam lived for some time with us in Rotterdam, (Holland) when he was young. He was very kind to us , little children than. It is several years since you posted the message about Peter Eliastam, but I would be interested to obtain information about his studies in the Netherlands. I am a researcher writing about South African graphic design in the 1950s and 1960s when Peter taught design in this country. Although several individuals have told me that he was an excellent designer and teacher, I have been able to find almost no information on him at all (and only one example of his work). Your comment that Peter was a student of Benno Wissing has been very helpful; any additional information would be much appreciated. Hi. Peter Eliastam is 83 years old and living in Bryaston. if you research the web it will provide you with his work address. He designed my brother’s company logo (Bethesda Computers in South Africa). He was a very talented artist. The Eliastams were our neighbours when we were young. I was involved in the Charismatic Renewal and lived in a covenant community at the time in Jhb. That was 1980 – 1983. I see above a mention of Peter Eliastam – I am friends with his son – John Eliastam. I am with the Vineyard Fellowship, as I was back then in 1980 – they were just forming in SA. The community I stayed with though was Roman Catholic. I found your post reference Peter Eliastam by googling his name. I have very fond memories of him as he was principal in me becoming a christian back in 1982. I am sure he will remember the sunday afternoon and that young Lacrosse player from manchester who visited his home in Pretoria. I was worshipping at the Assemblies of God in Johannesburg at the time, when I met Peter and his lovely family. Iris Ministries – irismin.org is a solid, renewal/revival ministry primarily in East Africa. Begun in Mozambique, they have had over ten thousand church plants in ten years. Many of those who led in renewal previously have blessed this movement. The renewal is stronger than ever in parts of Africa, the United States, Saudi Arabia, and more. I just noticed this comment whilst also researching the charismatic movement. Have you thought about what it says? Over 10,000 church plants in 10 years averages at over 1000 per year or almost 3 a day!! Does anyone honestly believe that? Iris Ministries is Rolland and Heidi Baker who are closely associated with a certain church in Toronto famous for the “Blessing”. That should raise a few red flags to start with. Totally agree with Ian.This is the Iris Ministries associated not only with the Toronto Blessing but with Mr.Bill Johnson of America who vigorously supported and continues to support Todd Bentley.Yes that Todd Bentley. It appears that the ministry of all these people is composed of plenty of style but with little substance.The new fashionistas who claim great healings and raisings from the dead without the proof. It’s a great pity as Roland Baker’s grandfather was so instrumental in chronicling that great move of God amongst the orphans at the Addulam orphanage he started in China during the 1940’s???? Forgot to add.. historically, John G. Lake has significance. Also, Rodney Howard-Browne came from South Africa to the US and was instrumental in releasing renewal in the States and around the world in the 90’s especially. Peter Eliastam is non contactable by email.He looks after an invalid daughter. You may contact me on my email address and I will pass on his contact details. I recomend an authority on the subject-one Norman Underwood who is well into his 70’s.He was at the thick of the renewal movement in Johannessburg.Again please contact me by email for details. I wonder whether the Baptist Minister William Duma would fall under your ambit? His multicultural impact on apartheid South Africa and his international healing ministry profile far beyond any other during that time might be worth studying.”Take Your Glory Lord”by Mary Garnett published by the South African Baptist Missionary Society is the definitive work on Duma. Just on a whim, I did a search for Peter Eliastam – he was my graphic design lecturer. I wanted to contact him to thank him, because he really made my course worthwhile and played a big part in where I’ve ended up today. It is Erik from the Netherlands. By accident I found an old e-mail address of yourself I believe…page.linda@gmail.com. I found your post about Peter Eliastam by googling his name. Peter & I met on holiday in the Transkei in 1981. We spoke for just 5 minutes and he gave me his card and an open invite to his home in Pretoria. Six months later I found his card in my wallet and decided to call him. I never knew that my trip from Joburg to Pretoria would change my life as Peter was principal in me becoming a christian back in 1982. He invited me to the Invisible church that evening and after that we had many breakfast meeting where he taught me about christianity. I am sure he will remember that sunday afternoon and that young Lacrosse player from manchester UK who visited his home in Pretoria. I noted that a name of Rev Vernon Lund was mentioned. In 1986 he was a lecturer at the then Indumiso College of Education in Pietermaritzburg. He was a great man and I personally learnt a lot from him. I was a student at the same college and also a MK ANC operative and I am proud to mention that he played a very important role driving me through road blocks that we set up to have me arrested in Pietermaritzburg. He was also my communication line between myself and my parents as I was a wanted man in those years. As far as I know he had a daughter by the name of Sue Lund, who was also a very active in student politics. I have more information on Rev Lund’s heroic actions. I think you may find y broether-in-law of interest to you in your research. He is Rod Ward and lives in Thornhill Johannesburg. Another person who might be useful is Bishop Peter Lee also of Johanesburg in the Anglican church. I would also like to contact Peter Eliastam so if you could pass on his contact details to me I would be most grateful. How is Peter is his health OK ? This email and the information it contains may be privileged and/or confidential. It is for the intended addressee(s) only. The unauthorised use, disclosure or copying of this email, or any information it contains is prohibited and could in certain circumstances be a criminal offence. If you are not the intended recipient, please notify Panacea Wealth Management immediately and delete the message from your system. Please note that Panacea Wealth Management does not enter into any form of contract by means of Internet email. None of the staff of Panacea Wealth Management is authorised to enter into contracts on behalf of the company in this way. All contracts to which Panacea Wealth Management is a party are documented by other means. Panacea Wealth Management monitors emails to ensure its systems operate effectively and to minimise the risk of viruses. Whilst it has taken reasonable steps to scan this email, it does not accept liability for any virus that it may contain. Panacea Wealth Management is Authorised and Regulated by the Financial Services Authority. My apologies for the long message above, I thought I was sending a private email message. Many thanks for the message., I have spoken to Peter by telephone today, the first time since 1985. I was privileged to spend time with Mr. Peter Eliastam last week and I showed him the requests for his contact details. As Peter does not have an email address he has aksed me to share his postal address with those wishing to contact him. It is P.O. Box 131216, Bryanston Ext, 2074, Johannesburg. Alternatively mail can be emailed to me and I will deliver it to him. My email address is sephtonn@telkomsa.net. Thank you. I am Angus Bayne, and My name is mentioned in the comment by L. Bodley in connection with the charismatic movement in South Africa. I had contact with John de Gruchy, and would be interested in your developing research. Having been raised by parents who were spiritualist mediums I had a thorough immersion in Eastern philosophy (not detailed but a smattering of the ‘various paths’ and was formerly inducted into transcendental meditation at 17. I got involved in the Assemblies of God in Eshowe in about 1973 as a ‘born again’ Christian and thus rejected what I was taught by my parents. I later became involved in the Charismatic movement for about 24 years, moved to Durban and then to Johannesburg. It was there that I realised how many different denominations there were and after researching Church history for about 7 years (and visiting St Nicholas in Brixton) I requested baptism into the Orthodox Church. I lead praise and worship in the Charismatic movement for many years and helped to start many home fellowship groups so I have some experience there. I was ordained as a priest and now live in New Zealand (Auckland) where I serve a little parish on the North Shore. You can contact Peter Eliastam through godsjigsawpuzzle.blogspot.com or email him at peliastam@gmail.com . I an going to send you a link to a Website where a pastor from an African nation addressed the so-called African renewal at a conference held in Los Angelos in Oct. 2013. The conference was titled “Strange Fire”. There is a list of speakers. At this moment I have forgotten the African speaker, but I will retrieve it for you. I am curious as to what your research reveals. Well it’s a real joy for me to be with you on this occasion. When I got the invitation from John to come and speak here, it was a complete surprise. I’ve followed his ministry over many years, I just didn’t know that he knew that I existed on the planet. I’m thankful although October I had already been taken up the people who had invited me were willing to shift things around me to make this possible. And so I’m really grateful for that opportunity. I’m also glad that the evening when I’m speaking we’ve had the Master’s College students singing for us because partly due to inspiration received from what is happening here we are in fact in the process of commencing a university back home. The African Christian University, the Lord willing, we open doors (Applause) the Lord willing, we open doors in January this coming year and what I’ve seen here hopefully with your prayers will be realized back home as well. Now in the task that I have before me this evening, I’ll be dealing with the African Import of Charismatic Chaos. I trust that that type reminds you of a book written a number of years ago and in many ways what you were reading, they is what we are seeing back home in Africa except that it is much worse as I hope to briefly show you this evening. What I’ll be doing is basically a brief overview of the Charismatic Movement in Africa and it’s one that I have observed in the last 30 years or so and consequently it’s a matter that I am coming to speak about as a matter of real concern. So this is not simply speaking about something that I’ve learned about through reading books, it’s what I come across literally every day and I hope you will bear with me if from time to time I get a little emotional, it’s a real concern in my own heart. I also quickly want to say that most of what I will go on to paint before you is rather foreign to a western mindset. But I hope I’ll do the best I could in the little time that I have, to make you appreciate what I’ll speaking about from our own African backgrounds. Invariably being a short time that I will be speaking, you have to appreciate that I’ll be using broad strokes in giving you something of that background and in doing so, you will have to read further and I’m hoping that as you do so, you will come to appreciate a little more something of its details. And so to begin with, I just want you to turn with me to John and chapter 17, not because I’m expounding this text, but because it’s really a point that I want us to keep in mind as we deal with this issue. Because ultimately the Charismatic chaos that I will be pointing out to you is one that would not have been the case if John 17 verse 17 had been taken seriously. It would not be where it is if we could get back to what Jesus was saying in His High Priestly prayer at this point. This was toward the end of the ministry of our Lord Jesus Christ, He’s on the eve of being crucified and consequently He is basically wrapping up truths that He has been teaching over a long period. He is seeking to convince His disciples concerning how they ought to live, especially in the light of His absence. And then as it comes to this prayer, He deliberately prays it in the ears of His disciples so that they may remain with something of that which is at the center of His own heart, the glory of God. “Glorify Yourself” He says over and over again. He deals towards the end with this reality that there is a time between the first and second coming, but there is to be an organizing principle that must be maintained at the center of Christianity after He is gone. And it is this, His Word, God’s Word is to remain saving and sanctifying His people. And He puts it within His prayer to the Father that this is what He desires, may His prayer be answered. I’d like to suggest to you, and we shall see it as we proceed, that it has been a failure to recognize the centrality and let me add the sufficiency of the Word of God that has produced something of what we will look at this evening. There is no doubt that south of the Sahara Desert the Charismatic Movement has flooded the African continent. You can’t miss it. North of the Sahara you have the Islamic north, but the moment you cross over that desert, you soon begin to see that this is what has become the most visible form of “evangelicalism” and I’m putting that in quotation marks. The phrase “born again” seems to be equated that form of Christianity. This has been largely due to the use of public crusades, loud public address systems, the use of radio, the use of television, and in many ways even with respect to literature, it has been free literature that has been shipped across the Atlantic, largely from your shores, containing the kind of heresies that have become common diet in the health and wealth Charismatic Movement on this end. That’s been shipped across over a number of decades, and more recently through broadcasting networks such as Trinity Broadcasting Network, this has become the staple diet of many of God’s people over on our end. Invariably this has been riding on the back of the old time conservative Pentecostalism which basically found its way, especially into much of English-speaking Africa in the second half of the last century, that opened the doors and with respect to what we are now seeing, this is like a pushing further of that which was being taught previously. The door was open slightly and now it has been opened ajar. The Pandora’s Box has been opened. Many people invariably ask the question, “Why is it that in such a short period of time there has been such an acceptance, multiplication of churches that can be described as I will be describing in a minute or two. The answer which I have given in the blog post that you find in Grace to You is basically the fact that this form of Christianity has appealed to the African world view in terms of its understanding of the spiritual world. Now I realize that again what I’m saying are but words to you, but it is a whole world in my mind as an African that that invariably plugs into. And very quickly, for instance, the word “break through,” what it is really saying to the common man across where I am coming from is that if you’re struggling in your marriage, or struggling to conceive, or struggling to maintain a job, or struggling to be promoted at work, struggling with even ill health, whatever it is that you’re struggling with, despite your prayers, nothing seems to be happening. It is because between you and God there are other layers that need to be dealt with. One of those layers is that of angels and demons, and the other layer is that of your ancestral spirits. Until those layers are broken through, you will not get what you want. Now that makes a lot of sense to an African because that’s the way we have thought for centuries. We don’t doubt the existence of God, but He’s a God far away, He’s a God who has these layers in between and until we deal with them, He will not hear us. He will not act on our behalf. And that’s really the role as I’ll be showing you in my next message that the man of God seems to be fulfilling, giving that break through. Now, you quickly realize that that’s not what the Bible teaches. And yet that is the form that the Charismatic Movement that is now clothed in African attire, that’s what it has taken on. It’s basically saying the same language that has already been there for centuries in Africa but now giving it a thin veneer of Bible verses. You can therefore well understand that if men and women are rushing in throngs to the witch doctor’s den, they will rush in throngs to these so-called churches because ultimately it’s the same “power play” they are looking for. I’ll be quick to say that that was not the initial thinking when the old, conservative Pentecostalism crossed over. As I said, I’ve had opportunity to be exposed sufficiently over a period of about 30 years. What is happening today is something that has gone a number of steps further and the only reason why it should be so as I’ve already hinted, is because the Word of God is no longer playing the role of governing our thinking and our practice. Now, you cannot have spiritual life when this book is closed…you can’t. (Applause) What you have are nice platitudes that are being borrowed here and thrown over there and going in the opposite direction. We are not the tail, but the head. People don’t know where that phrase is coming from. They don’t appreciate the context of that phrase. And just put it up here and they’re reproducing it there, and amens, and hallelujahs coming from that. Let me go further. When Jesus speaks about sanctify them by the truth, and Your Word is truth, He obviously also has in mind the fact that we are saved through this same truth, that the Word of God preached evangelistically is what will be used by the Holy Spirit to give life to the dead. The gospel has consequently also been lost. The message of deliverance as we saw it earlier is the common message now. And it’s not what you think they are saying. You see, the gospel is about the fact that we have offended our Creator, the governor of history, the coming judge of the living and the dead, that we deserve to go to hell because of that, but however, God who is loving has given His Son and through Him purchased a full and free redemption so that we may come to Him not trying to merit salvation, but in repentance and faith freely receiving that pardon, forgiveness of sins. That’s hardly ever being heard. And I mean it. Rather the modern gospel is something like this: there’s about twenty minutes of motivational speaking and when that is over, it’s now what problems have you got? Come to Jesus, He’ll deal with them. And the coming to Jesus basically means come to the front… I’ll be dealing with that when I deal with how we preach as witch doctors… and then the man of God will help you get over it. The result is this, the churches are full of goats in sheepskins. I do a lot of personal evangelism and I come across a lot of people who would tell me they go to such-and-such a church and often such-and-such international ministry. And when I ask the question whether they’re Christians, they’ll say yes. And when I ask how they became Christians, the testimony is often something like this. To read the rest of transcript or listen to message go to http://www.gty.org check link to Strange Fire Conference and check The African Import of Charismatic Chaos. Hope this helps. The charismatic movement that had the most influence on the churches of the early 70’s is surely the ‘Jesus People’ movement that started in the USA and quickly spread to SAfrica. It ‘landed’ in Joh’burg, found its way to CTown and ‘exploded’ here. It was a movement without anyone behind it and not attached to any particular church or organisation — literally ‘as the Spirit moved’ or ‘the wind blowing where it listeth’. Google Chrisman Stander and the Jesus People, Cape Town 1970’s. Or email me. Have you contacted or Googled Derek Crumpton, Ed Roebert (Jnr), John Bond, Michael Cassidy? There are many others. These men, excepting John Bond are still alive and were men of their time (and still are, I’m sure). There is no conspiracy of silence. I came into the joy of the Holy Spirit in 1973 and joined a Christian community under the leadership of Derek Crumpton, and joined their music group. 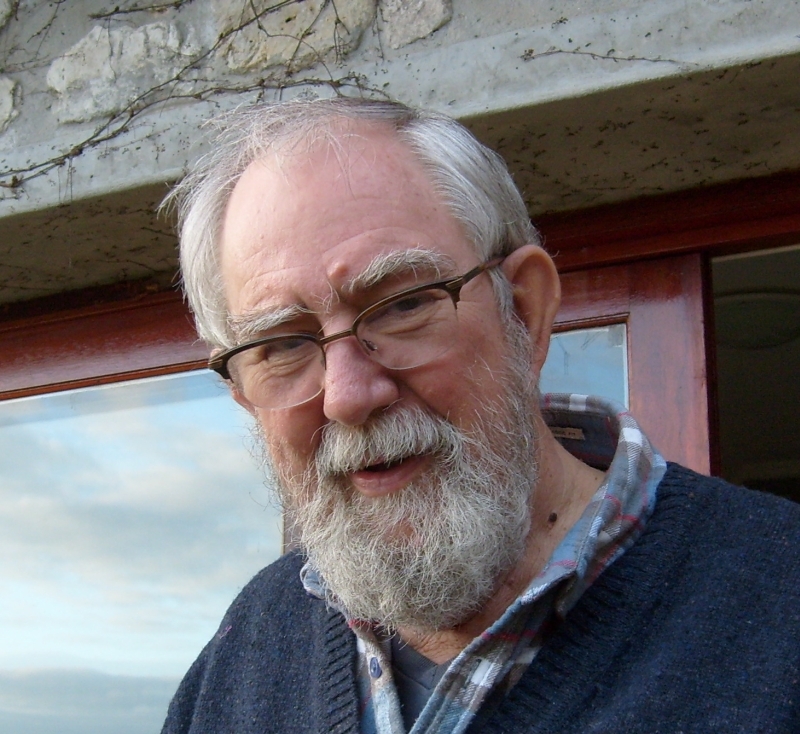 Very often Derek Crumpton was called upon by various mainline churches to teach on Renewal in the Church, and the music group accompanied him to assist the congregations with singing. If you search John+Bond+Charismatic+Renewal you should get quite a bit of Charismatic history. I am disappointed that you wish to say there is a conspiracy of silence. It gives an idea that there is something wrong with the Charismatic movement and that there is a desire to cover up some information. There is a lot that went wrong in the Charismatic movement. This does not discount what was right about it. (Google “Religion and Revival in post-apartheid South Africa – it’s a pdf file, as an example). It may be before your time, but the 1977 “Come Holy Spirit” and “Renewal in the Church” conferences in 1977 and 1980 respectively were noteworthy for the sense of the holiness of the presence of Almighty God. For your own sake I would suggest you go lightly with aspersions to a conspiracy of silence. A good researcher works hard to obtain the information he/she needs. You can ask people for information, but sometimesd they promise to give it, but never do. Hi, as one deeply involved in the Charismatic Renewal I responded to the request for informationin Nov. 2012, but have had no response. I was minister of the then Presbyterian Ch. of Wynberg, Cape Town. Is this project still ongoing? there is great danger in the charismatic scene. the underlying assumption, that all life should be characterized by outrageously obvious miracles, is unbiblical. Paul said tongues are a sign to the unbelievers, so you can only expect this in a mission field among pagans, and facilitating communication or making a point to some pagan who drops by and hears in his or her own language. This died out early in the Church, and the montanists were rejected because of the ecstatic state they were in instead of sober minded. “ecstasy” is a term that can mean anything from a deep sleep to a strange state of a vision superimposed on the normal scene around you, and can mean also the out of your mind not under your own control state. Paul implies this is typical of pagans not Christians when he remarks about being “led” in the days his hearers were pagans. Paul’s remark about tongues of angels is probably hyperbole to make a point, and essentially he says to keep it to yourself if no one can translate. The montanists also taught increasingly bad doctrine and theology. God will not validate false teaching with signs and wonders, if they happen they are from the devil or perhaps some strange fleshly capability based in a disorderly and ramped up personal energy system that can buckle out of its normal space and affect other things and both are wrong. The charismatics lineage of laying on of hands and receiving slain in the spirit and anointings tracks back mostly to William Branham who taught against the Trinity and taught other heresies, claimed to work with an angel instead of God doing the miracles, and the whole thing with or without a Branham genealogy resembles hindu shamanistic shaktipat and when not restrained, kundalini. While there are problems with John MacArthus, most of the material in the Strange Fire Conference videos you can find on youtube is solid. The ORthodox rule is do not pray with heretics. That’s not don’t pray over them, don’t pray WITH them. I decided to follow that when a girl I’d known years ago and had gotten into this wanted me to pray with her over the phone about some Jehovah’s Witnesses. And I dodged a bullet by doing so. I made a quick prayer on my own out loud to God and said amen, while she was mumbling something. I prayed on my own in her presence, but not back and forth taking turns and ending with amen together. AND SHE WAS ANGRY. she complained that we were not “in agreement” I said sure we agreed these people needed to convert to Christ she said that that wasn’t the same thing we had “to be of one mind.” SHE WAS AFTER A HIVE MIND EFFECT, so that the THING she thinks is the Holy Spirit could piggy back through normal boundaries and infect me. And though there was absolutely no visual capability to the phone I had then, I could see her face looking angry peering at me through some fluid that was offwhite like stale pus and a darker brownish edging, like when the zombie in Resident Evil floats through murky water up to the glass wall. And that’s when I knew for sure she had a demon. Those things can act very nice. and a sense of “peace” is no guarantee of anything. prelest takes many forms, and in my experience there are many kinds of things radically different from each other that can all be called “peace” if you don’t go into detail. One of the Manson girls who did those murders had previously been to an anton lavey event and told to lie in a coffin. being of a Christian background she was hesitant, but did so and said she felt “peace” when she did so. And after that she was susceptible to Manson and all his blasphemous heresies and orders to kill some time late. John MacArthur has some serious problems (and don’t listen when he says we don’t have the power to bind the devil.) But the Strange Fire Conference is pretty good and you can hear a lot of it on youtube. http://fightthenewage.blogspot.com I have some information on Branham and other matter on that blog. Alice Bailey of a Theosophical Society spinoff said that the “externalization of the hierarchy,” the physical manifestation of the “ascended masters” including a fake Jesus who is likely the antichrist, will happen when enough people are meditating and being world servers. Constance Cumbey once suggested after looking at some people at a new age meeting listen to and cheering either Barbara Marx Hubbard or someone like her saying that eventually the Christians and others who oppose this transformation of mankind will be sent to another dimension and relieved of their physical manifestation i.e., killed, and usually they wouldn’t go for extermination talk its about love and peace, right? they were in a trance like state, and Cumbey suggested that mass possession might be possible. secretly luciferic Rick Joyner (youtube has a video describing his setup “Rick Joyner’s demonic church”) is talking about an eventual war between Christians of his type and the rest of us and though in person he denies it is about violence the stuff he has written is explicit enough. Alice Bailey said that this bringing of the new age would be done by the churches. They are in other words to be infiltrated. What got Constance Cumbey’s interest going regarding neo Pentecostalism with its latter rain and joel’s army and so forth doctrines, was a new ager praising their eschatology which is essentially that of the new age (not pop occultism worse). Hidden Dangers of the Rainbow and the latter charismatic issues are in A Planned Deception toward the end. Not all Pentecostals are like that and LAtter Rain got rejected by the old line Pentecostals but increasingly it and dominionism (which says Jesus can’t or won’t come back until the church conquers the world and hands this kingdom over to Him) is heavily present in all this. But the fact is that the core doctrines and the practice of letting your mind go blank or slack so “the Holy Spirit” can possess you is not biblical but like a voodoo worship ceremony. So mostly its not The Holy Spirit. The developed pattern of worship dominating the scene and the sermon less sounds like it is geared to infiltrate by similar structure the Roman Catholic and Orthodox churches. already making some moves like this. The relationship of Jerry Boykin and ret. gen. Vallely friend of Michael Aquino should be examined. A brief blog entry that might interest you. Blessings.